Connect and have More Fun, Together! Does the busyness of life crowd your time for quality connection? Do you find your mind constantly in PROBLEM solving mode? Need a little help to break through and break free from the mundane? Let us partner with you to move forward and enjoy marriage as God intended. 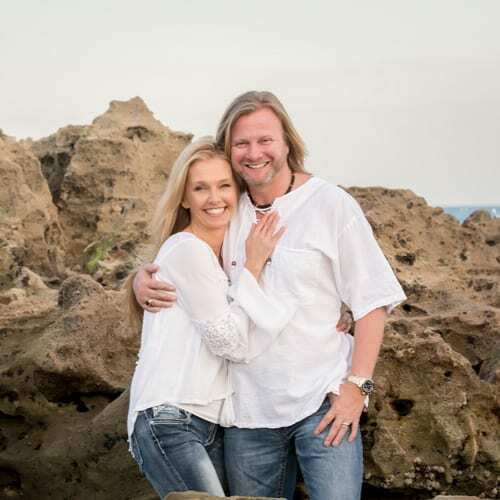 Click the link below and begin connecting more, through our Marriage Membership and Couples Coaching! 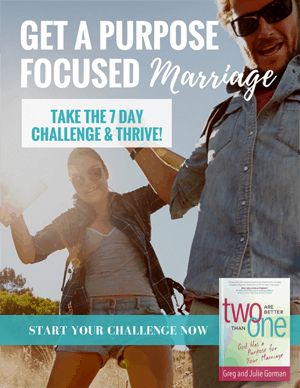 Enjoy this 7-Day Reading Challenge, specifically crafted to help you develop a greater, more purpose-focused, not problem-focused, relationship. He designed you with distinction. God joined you for a purpose and destined you, together, for greatness. ENTER YOUR EMAIL BELOW AND THE CHALLENGE WILL BE EMAILED TO YOU FOR THE NEXT 7 DAYS. Then, stay tuned for more details about the Marriage Mentoring Facebook Group. 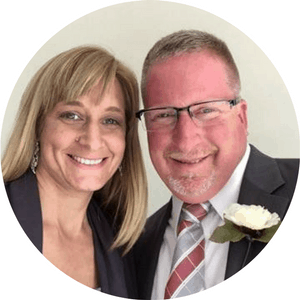 By submitting, you are granting permission to Married for a Purpose and Greg & Julie Gorman to send you information and updates. Your unified passions, when aligned with God’s, are unstoppable! The foundations for our marriage purpose must be established by God and for God. 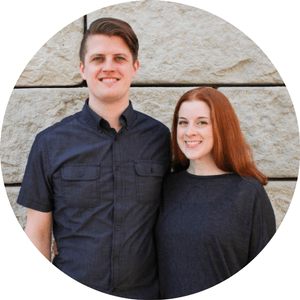 As entrepreneurs and owners of small businesses, certified life coaches, and most of all parents of two teenagers and a now twenty-something-year-old, we understand busy! We identify with the challenges that present themselves on any given day. And, comprehend the struggles that occur in ever day life. When first married, we allowed those struggles to divide us. We lived into our problems. If it could be done wrong; we did it. As God taught us the powerful truth that problems divide; purpose unites; we made a decision to pursue and seize a purpose-focused marriage and it changed everything! 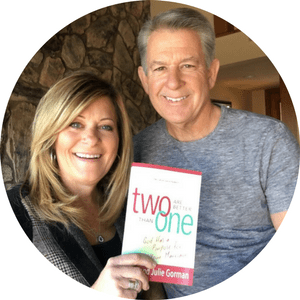 So whether in books, video curriculum, or conference retreats, couples will enjoy PURPOSE-focused topics that provide inspiration to live Married for a Purpose!